"Making Species Specific Diets For Decades!" Coral can bring a diverse range of color, beauty and constant motion to a saltwater tank. In fact, there’s nothing quite as stunning as a healthy coral display with fish darting about the colorful landscape. With over 6,0000 species of coral, the potential to develop a rich array of textures and colors is nearly endless. The Anthozoa class species can be soft, stony, and leather. These inverts don’t move around and are typically attached to a type of substrate. Consisting of polyps with internal or external skeletons, coral can add a fun and interesting look to any aquarium environment. In a natural environment, coral receive light from the sun in the proper intensity, spectrum and duration needed to thrive given their position and depth. 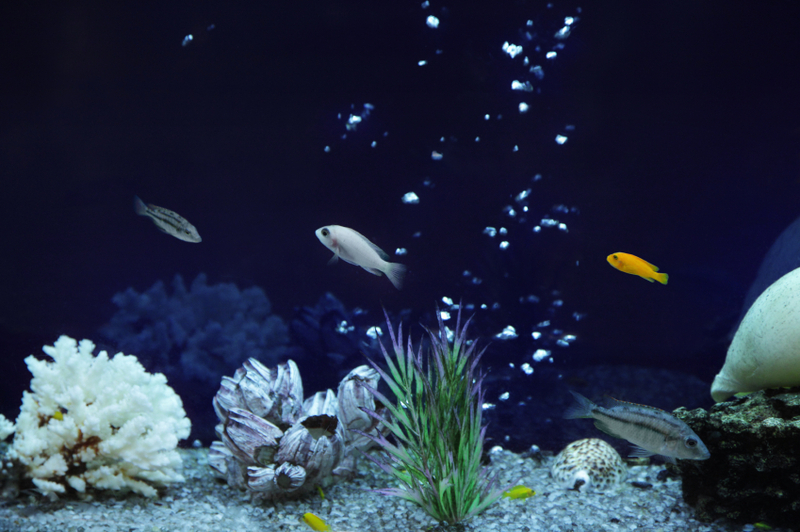 When it comes to a reef tank, lighting is the most important consideration for a spectacular reef display. Depending on the type of coral you keep, you will need to be able to adjust their position in your tank to balance each species light intensity needs against their space or movement requirements. When light is filtered through water, wavelengths travel differently. Red wavelengths are absorbed first and only blue wavelengths can reach into deeper waters. Talk to your local aquatic professional about what type of lighting your ideal display requires to ensure all the light variable boxes are checked for your tank set up. The most popular and colorful corals prefer a water temperature around 76 degrees. Water that is too hot or too cold can cause color fading or permanent damage, so if you notice any abrupt color change this is a red flag. Additionally, a pH of approximately 8.3 is what you should strive to maintain using the proper calcium additives to maintain good health. Just like other creatures in your tank, coral need nutrition they can’t always get from the ecosystem you have duplicated. Most species rely on single-celled algae in addition to fresh phytoplankton or zooplankton. Depending on the size of a coral’s polyps, using a combination of frozen or live and a formulated diet is considered a best practice. At Hikari®, we offer a range of products ideal for direct feeding or target feeding coral!